Use the facts. Over one-third of homes with children have a gun. Many of those guns are left unlocked and loaded. That is why you are asking — you just want to make sure that your child is safe. Don’t be confrontational. Present your concerns in a respectful manner. 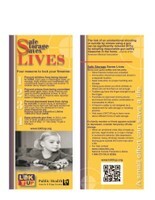 You are simply trying to make sure your child is in a safe environment. Use the ASK brochure to open the dialogue. 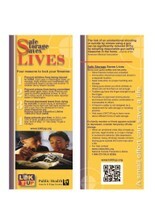 You can learn more about the ASK campaign and how to discuss firearm safety and safe storage in homes where your child plays by visiting www.cpyv.org/programs/ask/parents/what-is-the-ask-campaign/.